In 1976 a subtle change was applied to the packaging. The name of the subject is printed in black on the front of the box instead of the white text that was used up to now. The background gets 'washed out' for the black text to be clearly readable. On three of the sides the rectange layout is replaced by a thick line at the bottom of the side. This happened not all off a sudden but rather was a gradual change that was applied to the kits. When new kits were introduced they were designed with the latest logo and a just few kits got redesigned from box type 2 to box type 4. 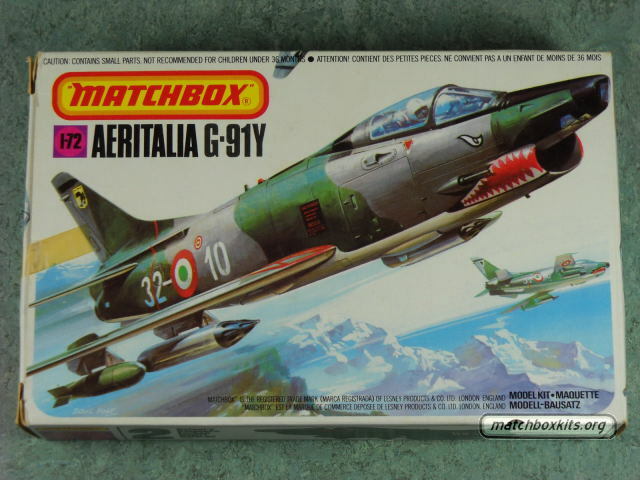 Many of the older kits remained available in former types of packaging and some never got updated at all.